Recently, the -cigarettes manufactures are competing fiercely. Products with newly-introduced technology have been abundantly released. Here take Eleaf for example. 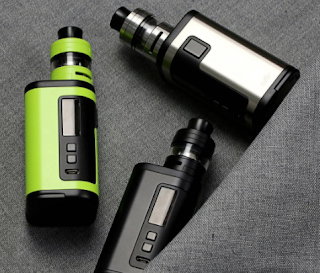 Within the past two months, it has launched several new products with incredible features like Eleaf iStick Trim, Eleaf iStick Tria and Eleaf Invoke. As the thinnest, tiny and lightweight mod, the Eleal iStick Trim is a perfect choice for female vapers. Besides, it is also designed for mouth to lung vaping so that you can enjoy a great vaping experience. What’s the design is simple and classic. There are five colors: red, black, silver, greenery, rose gold which also seems similar to the color of the iPhone. Most of he girls will love it very much. 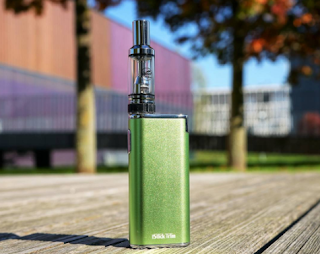 The most distinctive feature of the Eleaf iStick Tria is the adoption of triple batteries and the maximum output of 300W. 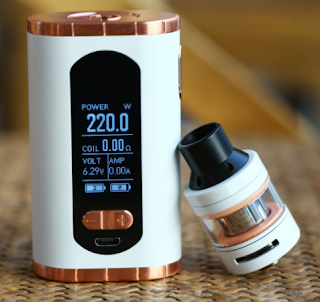 It is also the most powerful vape designed by Eleaf company and other features like various vaping modes, 2A current for quick charge and upgradeable firmware with preheat function. You can find almost everything in it! Eleaf Invoke is the newest vape mod. Powered by dual 18650 cells, the Eleaf Invoke can fire up to 220W, you can almost vape all day. Besides, the vape mod is also exquisitely designed for holding. It is comfortable to hold with tiny size. What’s more, 1.3 large inch display screen is also impressive. So which one do you prefer, make a choice or have them all in!